Ann Otol Rhinol Laryngol. 2017 May;126(5):382-387. doi: 10.1177/0003489417694910. Epub 2017 Feb 1. Framingham Risk Score as a Prognostic Predictor of Sudden Sensorineural Hearing Loss: A Preliminary Study Chang YS11, Choi JE1, Ahn J1, Ryu NG2, Moon IJ1, Hong SH1, Cho YS1, Chung WH1. Acta Otolaryngol. 2017 Jan;137(1):16-22. Epub 2016 Aug 26. Diagnostic criteria of barotraumatic perilymph fistula based on clinical manifestations Choi JE11, Moon IJ1, Kim H1, Lee K1, Cho YS1, Chung WH1. Otol Neurotol. 2016 Dec;37(10):1503-1509. Clinical Implication of the Threshold Equalizing Noise Test in Patients With Sudden Sensorineural Hearing Loss Choi JE11, Lee JJ, Chung WH, Cho YS, Hong SH, Moon IJ. BMJ Open. 2016 Nov 9;6(11):e012628. doi: 10.1136/bmjopen-2016-012628. Prevalence and associated factors of facial palsy and lifestyle characteristics: data from the Korean National Health and Nutrition Examination Survey 2010-2012 Chang YS11, Choi JE1, Kim SW2, Baek SY2, Cho YS1. Laryngoscope. 2016 Oct;126(10):2351-7. doi: 10.1002/lary.25981. Epub 2016 Apr 14. Prevalence and Associated Factors of Chronic Suppurative Otitis Media: Data from the Korea National Health and Nutrition Examination Survey, 2009-2012 Chung JH11, Lee SH1, Woo SY2, Kim SW2, Cho YS3. Sci Rep. 2016 Oct 12;6:35235. doi: 10.1038/srep35235. Evaluation of Cochlear Implant Candidates using a Non-linguistic Spectrotemporal Modulation Detection Test Choi JE11, Hong SH2, Won JH3, Park HS1, Cho YS1, Chung WH1, Cho YS1, Moon IJ1. Neurosurg Rev. 2016 Oct;39(4):643-53. doi: 10.1007/s10143-016-0728-5. Epub 2016 May 4. Clinical outcome of neurofibromatosis type 2-related vestibular schwannoma: treatment strategies and challenges Kim BS11, Seol HJ2, Lee JI3, Shin HJ3, Park K3, Kong DS3, Nam DH3, Cho YS4. Acta Otolaryngol. 2016 Sep;136(9):905-11. doi: 10.3109/00016489.2016.1170201. Epub 2016 Apr 25. Factors associated with self-reported outcome in adaptation of hearing aid Chang YS11, Choi J2, Moon IJ1, Hong SH1, Chung WH1, Cho YS1. World Neurosurg. 2016 May;89:215-22. doi: 10.1016/j.wneu.2016.01.038. Epub 2016 Jan 28. Functional Outcome of the Facial Nerve After Surgery for Vestibular Schwannoma: Prediction of Acceptable Long-Term Facial Nerve Function Based on Immediate Postoperative Facial Palsy Lee S11, Seol HJ2, Park K1, Lee JI1, Nam DH1, Kong DS1, Cho YS3. PLoS One. 2016 Feb 5;11(2):e0148466. doi: 10.1371/journal.pone.0148466. eCollection 2016. Cross-Modal and Intra-Modal Characteristics of Visual Function and Speech Perception Performance in Postlingually Deafened, Cochlear Implant Users Kim MB11, Shim HY2, Jin SH2, Kang S2, Woo J3, Han JC4, Lee JY5, Kim M6, Cho YS2,7, Moon IJ2,7, Hong SH2,7. Clin Exp Otorhinolaryngol. 2015 Dec;8(4):329-34. doi: 10.3342/ceo.2015.8.4.329. Epub 2015 Nov 10. Cochlear Implantation for Profound Hearing Loss After Multimodal Treatment for Neuroblastoma in Children 1,Clin Exp Otorhinolaryngol. 2015 Dec;8(4):329-34. doi: 10.3342/ceo.2015.8.4.329. Epub 2015 Nov 10. PLoS One. 2015 Oct 20;10(10):e0140920. doi: 10.1371/journal.pone.0140920. eCollection 2015. Spectrotemporal Modulation Detection and Speech Perception by Cochlear Implant Users Won JH11, Moon IJ2, Jin S2, Park H2, Woo J3, Cho YS2, Chung WH2, Hong SH2. Medicine (Baltimore). 2015 Oct;94(42):e1580. doi: 10.1097/MD.0000000000001580. Hearing Aid Use and Associated Factors in South Korea Moon IJ11, Baek SY, Cho YS. Medicine (Baltimore). 2015 Oct;94(43):e1846. doi: 10.1097/MD.0000000000001846. Factors Associated With Age-related Hearing Impairment A Retrospective Cohort Study Moon IJ11, Byun H, Woo SY, Gwak GY, Hong SH, Chung WH, Cho YS. BMJ Open. 2015 Oct 26;5(10):e008224. doi: 10.1136/bmjopen-2015-008224. Prevalence of vestibular dysfunction and associated factors in South Korea Koo JW11, Chang MY1, Woo SY2, Kim S2, Cho YS3. Clin Exp Otorhinolaryngol. 2015 Sep;8(3):237-42. doi: 10.3342/ceo.2015.8.3.237. Epub 2015 Aug 13. Benefit From Directional Microphone Hearing Aids: Objective and Subjective Evaluations Park HS11, Moon IJ2, Jin SH1, Choi JE2, Cho YS2, Hong SH2. Eur Arch Otorhinolaryngol. 2015 Sep;272(9):2213-9. doi: 10.1007/s00405-014-3133-0. Epub 2014 Jun 21. Clinical effectiveness of wireless CROS (contralateral routing of offside signals) hearing aids Ryu NG11, Moon IJ, Byun H, Jin SH, Park H, Jang KS, Cho YS. Ear Hear. 2015 Jul-Aug;36(4):e183-9. doi: 10.1097/AUD.0000000000000149. Objective and Subjective Improvement of Hearing in Noise After Surgical Correction of Unilateral Congenital Aural Atresia in Pediatric Patients: A Prospective Study Using the Hearing in Noise Test, the Sound-Spatial-Quality Questionnaire, and the Glasgow Benefit Inventory Byun H11, Moon IJ, Woo SY, Jin SH, Park H, Chung WH, Hong SH, Cho YS. Acta Otolaryngol. 2015 Feb;135(2):154-61. doi: 10.3109/00016489.2014.973531. Epub 2014 Dec 8. Social skills and developmental delay: importance in predicting the auditory and speech outcomes after cochlear implantation in children Chang YS11, Moon IJ, Kim EY, Ahn J, Chung WH, Cho YS, Hong SH. Otol Neurotol. 2014 Dec;35(10):1835-8. doi: 10.1097/MAO.0000000000000587. The Prevalence of Preauricular Sinus and Associated Factors in a Nationwide Population-Based Survey of South Korea Lee KY11, Woo SY, Kim SW, Yang JE, Cho YS. Acta Otolaryngol. 2014 Dec;134(12):1225-30. doi: 10.3109/00016489.2014.939302. Epub 2014 Oct 3. Traumatic ossicular disruption with isolated fracture of the stapes suprastructure: comparison with incudostapedial joint dislocation Park GY11, Choi JE, Cho YS. Clin Exp Otorhinolaryngol. 2014 Dec;7(4):264-8. doi: 10.3342/ceo.2014.7.4.264. Epub 2014 Nov 14. Hearing and Facial Function After Surgical Removal of Cholesteatomas Involving Petrous Bone Kim MJ11, An YS1, Jang MS2, Cho YS2, Chung JW1. J Epidemiol. 2014;24(5):417-26. Epub 2014 Jun 21. Prevalence and Associated Factors of Tinnitus: Data From the Korean National Health and Nutrition Examination Survey 2009-2011 Park KH11, Lee SH, Koo JW, Park HY, Lee KY, Choi YS, Oh KW, Lee A, Yang JE, Woo SY, Kim SW, Cho YS. Laryngoscope. 2014 Aug;124(8):1923-7. doi: 10.1002/lary.24553. Epub 2014 Jan 29. Hearing Loss Following Ventriculoperitoneal Shunt in Communicating Hydrocephalus Patients: A Pilot Study Lim HW11, Shim BS, Yang CJ, Kim JH, Cho YH, Cho YS, Kong DS, Koo JW, Han JH, Chung JW. Ann Otol Rhinol Laryngol. 2014 Jun;123(6):395-401. Effect of a Bluetooth-Implemented Hearing Aid on Speech Recognition Performance: Subjective and Objective Measurement Kim MB1, Chung WH, Choi J, Hong SH, Cho YS, Park G, Lee S.
Eur Arch Otorhinolaryngol. 2014 Jun;271(6):1409-14. doi: 10.1007/s00405-013-2585-y. Epub 2013 Jun 7. Operative findings of conductive hearing loss with intact tympanic membrane and normal temporal bone computed tomography Kim SH11, Cho YS, Kim HJ, Kim HJ. Otol Neurotol. 2014 Jun;35(5):918-21. doi: 10.1097/MAO.0000000000000338. The Factors Associated With Tumor Stability Observed With Conservative Management of Intracanalicular Vestibular Schwannoma (vol35, pg 918, 2014) Lee JD11, Park MK, Kim JS, Cho YS. Otol Neurotol. 2014 Apr;35(4):639-44. doi: 10.1097/MAO.0000000000000271. Sound Localization Performance Improves After Canaloplasty in Unilateral Congenital Aural Atresia Patients Moon IJ11, Byun H, Jin SH, Kwon S, Chung WH, Hong SH, Cho YS. Am J Rhinol Allergy. 2014 Mar-Apr;28(2):e107-14. doi: 10.2500/ajra.2014.28.4040. Prevalence, risk factors and comorbidities of allergic rhinitis in South Korea: The Fifth Korea National Health and Nutrition Examination Survey Rhee CS11, Wee JH, Ahn JC, Lee WH, Tan KL, Ahn S, Lee JH, Lee CH, Cho YS, Park KH, Lee KH, Kim KS, Lee A, Kim JW. Ann Otol Rhinol Laryngol. 2014 Feb;123(2):141-7. doi: 10.1177/0003489414523711. Results of Anterior Facial Nerve Rerouting Procedures for Removing Skull Base Tumors Yi JS11, Lim HW, Chang YS, Choi SH, Cho YS, Chung JW. Laryngoscope. 2013 Oct;123(10):2526-32. doi: 10.1002/lary.23988. Epub 2013 Aug 5. Value of Electroneurography as a Prognostic Indicator for Recovery in Acute Severe Inflammatory Facial Paralysis: A Prospective Study of Bell's Palsy and Ramsay Hunt Syndrome Byun H11, Cho YS, Jang JY, Chung KW, Hwang S, Chung WH, Hong SH. J Neurosurg Pediatr. 2013 Sep;12(3):284-7. doi: 10.3171/2013.6.PEDS1362. Epub 2013 Jul 12. Giant petroclival endodermal cyst with xanthogranulomatous changes Choi JE11, Seol HJ, Cho YS. Otol Neurotol. 2013 Sep;34(7):1247-52. doi: 10.1097/MAO.0b013e31829b5786. A New Possible Mechanism of Hearing Loss After Microvascular Decompression for Hemifacial Spasm Jo KW11, Lee JA, Park K, Cho YS. PLoS One. 2013 May 9;8(5):e62725. doi: 10.1371/journal.pone.0062725. Print 2013. Prevalence of Subjective Olfactory Dysfunction and Its Risk Factors: Korean National Health and Nutrition Examination Survey Lee WH11, Wee JH, Kim DK, Rhee CS, Lee CH, Ahn S, Lee JH, Cho YS, Lee KH, Kim KS, Kim SW, Lee A, Kim JW. Arch Otolaryngol Head Neck Surg. 2012 Sep;138(9):840-5. doi: 10.1001/archoto.2012.1800. Factors Associated With Quality of Life After Ear Surgery in Patients With Chronic Otitis Media Choi SY11, Cho YS, Lee NJ, Lee J, Chung WH, Hong SH. J Korean Med Sci. 2012 Aug;27(8):835-48. doi: 10.3346/jkms.2012.27.8.835. Epub 2012 Jul 25. Korean Clinical Practice Guidelines: Otitis Media in Children Lee HJ11, Park SK, Choi KY, Park SE, Chun YM, Kim KS, Park SN, Cho YS, Kim YJ, Kim HJ, Korean Otologic Society. Acta Otolaryngol. 2012 Jun;132(6):618-23. doi: 10.3109/00016489.2011.652743. Epub 2012 Apr 12. Open-type congenital cholesteatoma: Differential diagnosis for conductive hearing loss with a normal tympanic membrane Kim SH11, Cho YS, Chu HS, Jang JY, Chung WH, Hong SH. Otolaryngol Head Neck Surg. 2012 Apr;146(4):614-20. doi: 10.1177/0194599811426257. Epub 2011 Oct 20. Long-term Stent Use Can Prevent Postoperative Canal Stenosis in Patients with Congenital Aural Atresia Moon IJ11, Cho YS, Park J, Chung WH, Hong SH, Chang SO. Auris Nasus Larynx. 2014 Feb;41(1):93-6. doi: 10.1016/j.anl.2013.04.007. Epub 2013 May 18. Glomus Faciale: Primary Paraganglioma of the Facial Canal Takahashi K11, Yamamoto Y2, Ohshima S2, Morita Y2, Takahashi S2. Clin Exp Otorhinolaryngol. 2011 Jun;4(2):77-82. doi: 10.3342/ceo.2011.4.2.77. Epub 2011 May 31. Protective Effect of Minocycline Against Cisplatin-induced Ototoxicity Lee CK11, Shin JI, Cho YS. Otolaryngol Head Neck Surg. 2011 Jan;144(1):67-72. doi: 10.1177/0194599810390917. 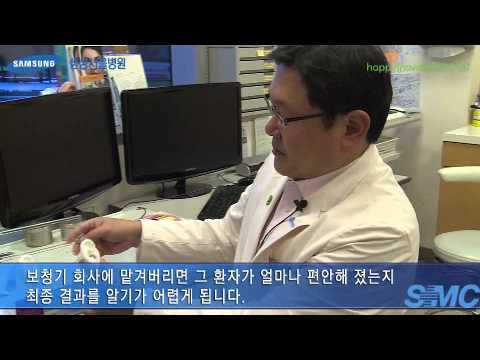 Video Pneumatic Otoscopy for the Diagnosis of Conductive Hearing Loss With Normal Tympanic Membranes Lee JK11, Cho YS, Ko MH, Lee WY, Kim HJ, Kim E, Chung WH, Hong SH. Clin Exp Otorhinolaryngol. 2010 Dec;3(4):183-93. doi: 10.3342/ceo.2010.3.4.183. Epub 2010 Dec 22. Prevalence of Otolaryngologic Diseases in South Korea: Data from the Korea National Health and Nutrition Examination Survey 2008 Cho YS11, Choi SH, Park KH, Park HJ, Kim JW, Moon IJ, Rhee CS, Kim KS, Sun DI, Lee SH, Koo JW, Koh YW, Lee KH, Lee SW, Oh KW, Pyo EY, Lee A, Kim YT, Lee CH. Acta Otolaryngol. 2010 Jun;130(6):716-23. doi: 10.3109/00016480903380521. Clinical assessment of music perception in Korean cochlear implant listeners Jung KH11, Cho YS, Cho JK, Park GY, Kim EY, Hong SH, Chung WH, Won JH, Rubinstein JT. Arch Otolaryngol Head Neck Surg. 2010 Apr;136(4):358-65. doi: 10.1001/archoto.2010.24. Quality-of-Life Assessment After Primary and Revision Ear Surgery Using the Chronic Ear Survey Jung KH11, Cho YS, Hong SH, Chung WH, Lee GJ, Hong SD. Auris Nasus Larynx. 2010 Feb;37(1):18-22. doi: 10.1016/j.anl.2009.01.014. Epub 2009 Apr 26. Revision surgery for chronic otitis media: Characteristics and outcomes in comparison with primary surgery Cho YS11, Hong SD, Chung KW, Hong SH, Chung WH, Park SH. Eur Arch Otorhinolaryngol. 2009 Jul;266(7):967-73. doi: 10.1007/s00405-008-0839-x. Epub 2008 Oct 22. Video pneumatic otoscopy for the diagnosis of otitis media with effusion: a quantitative approach Cho YS11, Lee DK, Lee CK, Ko MH, Lee HS. Neurosurg Rev. 2009 Jan;32(1):61-6; discussion 66. doi: 10.1007/s10143-008-0165-1. Epub 2008 Sep 9. Surgical outcomes of lateral approach for jugular foramen schwannoma: postoperative facial nerve and lower cranial nerve functions Cho YS11, So YK, Park K, Baek CH, Jeong HS, Hong SH, Chung WH. Otolaryngol Head Neck Surg. 2008 May;138(5):637-40. doi: 10.1016/j.otohns.2007.12.037. Chronic otitis media and immunoglobulin E-mediated hypersensitivity in adults: Is it a contributor of cholesteatoma Hong SD11, Cho YS, Hong SH, Chung WH, Chung KW. Audiol Neurootol. 2008;13(3):206-12. doi: 10.1159/000113511. Epub 2008 Jan 22. Otologic manifestations of Hunter syndrome and their relationship with speech development Cho YS11, Kim JH, Kim TW, Chung SC, Chang SA, Jin DK. Acta Otolaryngol Suppl. 2007 Oct;(558):67-72. Effects of packing on the postoperative hearing after middle ear surgery Cho YS11, Lee HS, Hong SH, Chung WH, Min JY, Hwang SJ. AJNR Am J Neuroradiol. 2007 Jan;28(1):138-40. Intracranial aspergillosis involving the internal auditory canal and inner ear in an immunocompetent patient Cho YS11, Lee DK, Hong SD, Oh WS. Otolaryngol Head Neck Surg. 2006 Jul;135(1):144-8. Inflammatory pseudotumor involving the skull base: Response to steroid and radiation therapy Lee DK11, Cho YS, Hong SH, Chung WH, Ahn YC. Laryngoscope. 2006 Jun;116(6):921-7. Tuberculous otitis media: A clinical and radiologic analysis of 52 patients Cho YS11, Lee HS, Kim SW, Chung KH, Lee DK, Koh WJ, Kim MG.
J Laryngol Otol. 2005 Dec;119(12):1004-6. Tubular apocrine adenoma with syringocystadenoma papilliferum arising from the external auditory canal Lee CK11, Jang KT, Cho YS. Int J Pediatr Otorhinolaryngol. 2005 Nov;69(11):1569-74. Epub 2005 Jul 14. A huge osteoma of the middle ear Cho YS11, Kim JH, Hong SH, Chung WH. J Neurosci. 2003 Feb 1;23(3):777-87. An extranuclear locus of cAMP-dependent protein kinase action is necessary and sufficient for promotion of spiral ganglion neuronal survival by cAMP Bok J11, Zha XM, Cho YS, Green SH. Otolaryngol Head Neck Surg. 2001 Oct;125(4):364-9. Changes in external ear resonance after 3 types of surgery in the patients with chronic otitis media Cho YS11, Seo IS, Woo HC, Kang MK, Chung WH, Hong SH. J Laryngol Otol. 2001 Jul;115(7):580-4. Inflammatory pseudotumour involving the skull base and cervical spine Cho YS11, Kim SM, Chung WH, Hong SH. Int J Pediatr Otorhinolaryngol. 2001 Apr 27;58(2):147-52. Changes in external ear resonance after ventilation tube (Grommet) insertion in children with otitis media with effusion Hong SH11, Cho YS, Chung WH, Koh SJ, Seo IS, Woo HC. J Laryngol Otol. 2000 May;114(5):392-4. Narrow internal auditory canal syndrome: parasaggital reconstruction Cho YS11, Na DG, Jung JY, Hong SH. '귀의 날'…"가볍거나 보통 정도 노인성난청엔 음성증폭기 도움"
[SMC닥터스] 환자행복을 위한 정석 진료로 두개저와 보청기의 세계 최고 리더십을 지향하다.